you should also take not that in the later months companyes have gone from 'game as serivce' to 'live services'... it basically means always online where you can not play offline and they can monetizes a game forever. listen, kid. you're the only one here who still hasn't realized it, so allow me to put this in a way you'll understand. WE'RE NOT GETTING A NEW GAME THIS YEAR. Jesus, lay off him, will you? If he wants to believe it, let him. It's his choice. He can think whatever he thinks and you should respect that. if the ideology spreads, then false news spreads, and we get a bunch of people going at acti's throat for nothing, and nobody needs that. i'm doing us a favor. He isn't saying that there definitely WILL be a Skylanders game. He just taking note of this fact and suggesting it as a potential possibility. Meanwhile, you're forcing your ideas on everyone and acting like people can't have their own opinions. I don't want to argue with you, as I consider you a good friend, but you really need to stop acting like everything you say is fact and everyone else is wrong. Obliterated, and he avoided the usual kind of tasteless joke that comes with that character. A BBQ worthy simmer. On topic, I wonder if this rumored March event might have skylanders mobile news? Gotta announce that somewhere. Would it be better or worse for the potential of another console game in the coming years if the mobile game doesn't go ahead or bombs badly if it does proceed? It shouldn't affect anything because it's a mobile game you're trying to offer to console players - limitations of the plataform included, but they'll find an excuse. Precisely. I have stated multiple times that I DO NOT THINK WE ARE GETTING A GAME. I currently say there is about a 30% chance of it actually happening, although honestly there's probably less of a chance of that. We can't exclude it though. PortalMasterTV's review of Portal Master's Guide to Skylands is finally out! I'm not seeing anything big right now, but it's there, it came out, we can stop panicking. I was about to say Nightshade and Luminous weren’t actual Doom Raiders, but after checking the Wiki it seems I remembered incorrectly. Finally knowing Kaos’ Mom name is great, but I’m more interested in that timeline at the end, especially since we tried to create one in the past. I just played Imaginators for the first time since November.....and it was fun. It was nice after months of getting killed over and over to play a bit of a simple and fun game. And I still smile when playing as Blaster Tron. Such a fun character. when are they gonna put in the 'like' button on this forum???... its sorely missed. Just checked I-Wei Huang's LinkedIn and it seems he still works at TfB, which is good to see. While this may not have everything to do with Toys For Bob, Paul Reiche III and Fred Ford are in a legal battle between Stardock over Star Control stuff. Hadn't these legal troubles happened before Feb. 22 or am I from the future in the past looking at something that's happening now? I seem to recall TFB being under fire over disputes about this Star Control stuff since Q3 of last year. @Johnbonne That's when it stated, the counter-suing was more recent. Wow, what a jerk move(well from what we currently know). Good luck to them, everything seemed to be going swimmingly from their blogpost. reminder to keep expectations low. I mean, considering the mobile developers' history with its past projects, he's right in this case. Of course it's good to have hope for a good game, but don't assume it'll be a masterpiece. A delay could be a good sign. Unlikely, but could. Not sure if this is considered "off-topic" or irrelevant (tbh I don't know where to ask about Starlink), but would news about that game motivate Activision to show some Skylanders stuff in the works? It might not be such a bad idea for the publishing giant to compete with a game that so far doesn't seem hugely appealing. I would assume that would make any Skylanders based work for TFB unlikely. Yup, they're a small team. With Reiche also with that Star Control kerfluffle, it's unfortunately not happening for the foreseeable future aside from the mobile game. Interesting. 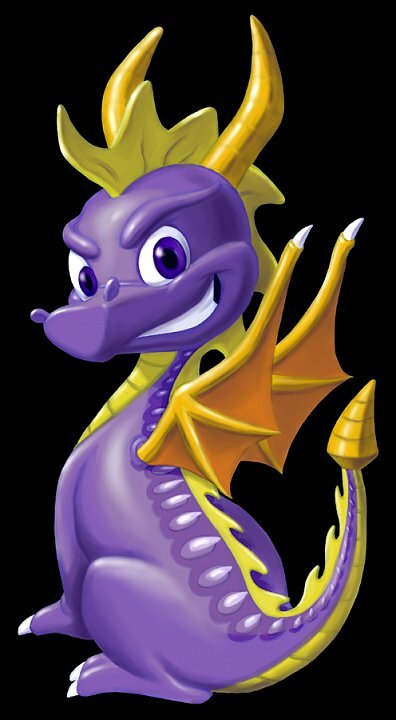 So they probably will both end up working on the rumored Spyro remakes as well, which means the best we can hope for is that Activision is waiting until both the Crash and Spyro remakes are completed and ported to all systems before having VV and TfB return to Skylanders (if at all). If the rumored Crash 5 years plan is true and if Spyro will follow the same route, then I guess it’ll be a while before we hear about console Skylanders games as well. Unless Activision finds other developers for the series, of course. New news on Skylanders RPG, as usual discuss at the appropriate section. Personally, I don't think this is likely but I thought I'd post it anyway and let everyone draw their own conclusion. 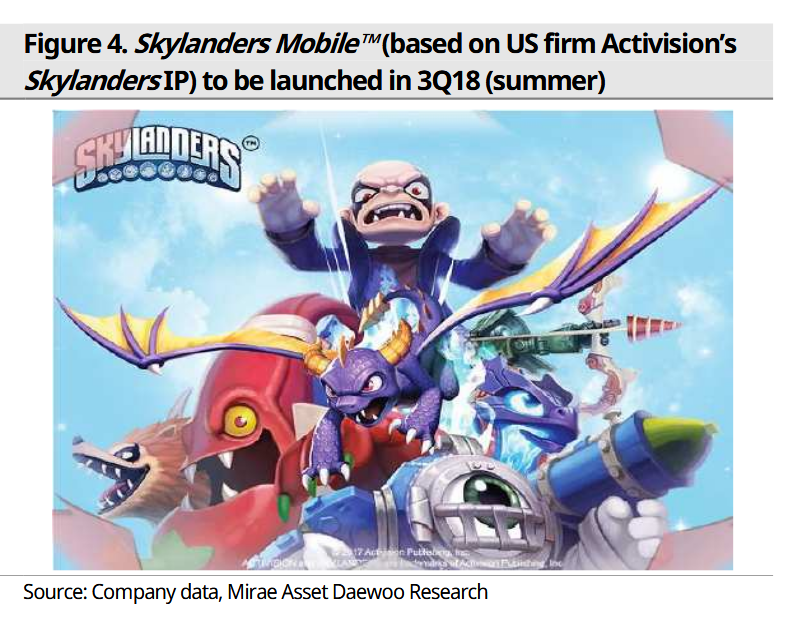 The next game in the series is called 'Skylanders: Jet Warriors', at least according to one data miner who apparently discovered many upcoming games releasing on Nintendo Switch. That's one hell of a list. Lots of games there that I'm excited about. Hope it's not a fake list, but many titles there seem rather obvious for the switch and it seems real to me. So who knows? Keep in mind, aside from being fake, this might've been the working title of the cancelled Skylanders 7. The Switch devs could've added it while it was in development and just never removed it when it ended. It does match VV's title themes. When I think of jet-warriors I think of air Skylanders or at least Skylanders that use Sky vechiles...I can’t see how they can create a whole new cast with this idea . Maybe Skylanders that can transforms in this "Jet Warriors" thing? Like Eruptor and Stealth Elf that can transform in the mobile game? Yes but how many of those real games were already revealed? Magna Charge and Hood sickle are said to make an appearance in the new movie Ready player one along side Drobot , Gill Grunt , Torch and Blaster tron which are very weird choices if you asked me not everyone is going to look at them and instantly think oh those guys are from skylanders...Stealth elf , Spyro , Pop Fizz , Jet-vac , Eruptor , Hex , Roller Brawl Cynder and Trigger Happy are all Better Choices TBH and are very recognizable. Already mentioned, and the list is fabricated by a bunch of kids with wikia accounts unfortunately. Some of it might be true but I went over a week back and it was full of comments about how X is their favorite character so they added them. The imgur list was posted before the Nindies announcements, and they are all there. At the cost of being completely wrong, this is probably the first leaks I’m not buying into. Too many weird or obscure choices, obvious requested choices and of course a bunch of true titles to make it look more plausible. Even the name “Jet Warriors” itself (if not the one for the cancelled 2017 game) doesn’t sound credible: seems also like a SuperChargers 2.0 mixed with SWAP Force, and honestly doesn’t give me ideas about what it could be about. Could be the mobile game’s name but I’m not counting on that either. Maybe it’s my cynical part speaking after almost a month of disappointment and reality checks, but I’m not expecting this to hold any kind of truth except for the already (coincidentally?) confirmed names. No it's still there, just had a look at it before texting here. It could also be found on Reddit and Pastedbin. Well "Jet" could also have something to do with kinda like riding on a jetstream through time/space/dimensions or something similar, I don't think that it must be something like another supercharger-game again. I posted the "leak" cause there's nothing else at the moment and well at least we can get back to speculations for a while. I don't think that it's legit for now but we have to wait as usual.